Wrenn, C. L., Clark, J., Judge, M., Gilchrist, K. A., Woodlock, D., Dotson, K., ... & Wrenn, J. (2015). 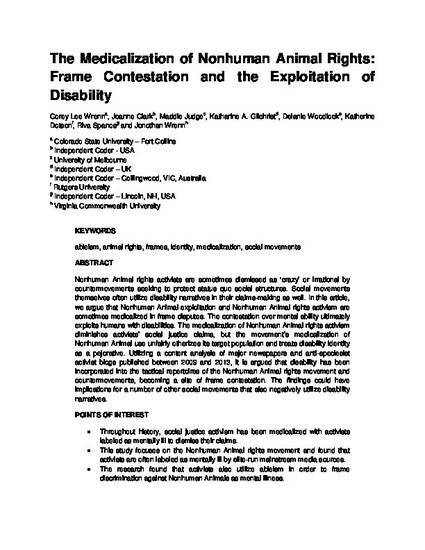 The medicalization of Nonhuman Animal rights: frame contestation and the exploitation of disability. Disability & Society, 30(9), 1307-1327.